Offer your guests a fun and practical gift that is always associated with good times! These Stainless Steel bottle openers can be personalized with your unique message. Our all Stainless Steel classy bottle opener is made from a solid sheet of Stainless Steel with a sturdy construction. Molded into the Stainless Steel is a cut-out which acts as a strong bottle opener. The opener is the size of a credit card and can be carried in a wallet or purse where it can be used on the go or as a home bar accessory. 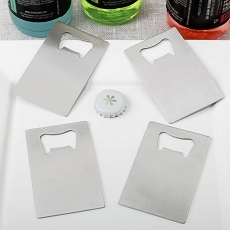 We can individually personalize the bottom of the bottle openers with a design that you create. Use our Online Design Tool and select colors, themes and titles to match your event. There is a choice for all types of occasions. Offer your guests a fun and useful favor at your next event with a meaningful message that will remind them of your special day. Size 3 3/8" x 2 1/8"
See the finished masterpiece right before your eyes! 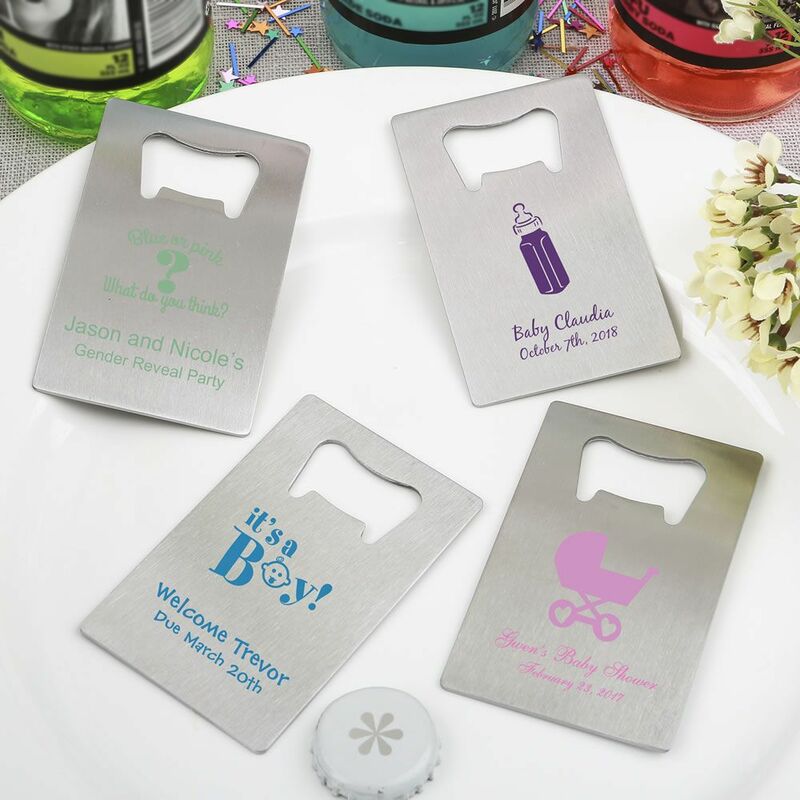 Personalized bottle opener favors add a special touch to any event!